The wifi-only Galaxy Tab was just announced here at CES and will be released some time in the first quarter of 2011. No pricing has been offered, but you’ve got to figure it’ll come under the $499 price-tag that Verizon is selling the 3G version at. And nothing else has really changed, we’re hoping that it just finds a stellar price point. LAS VEGAS, January 5, 2010 —Samsung Telecommunications America (Samsung Mobile), the No. 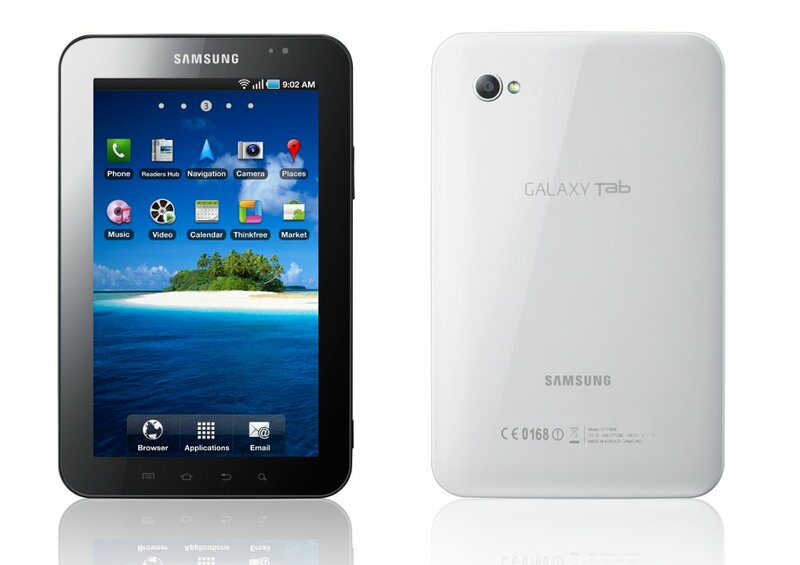 1 mobile phone provider in the U.S.1, today announced the WiFi-only Samsung Galaxy Tab™ will be available for purchase in the U.S. in the first quarter of 2011. The Galaxy Tab runs on Android™ 2.2 (Froyo) and features a 7-inch TFT display with 1024 x 600 WSVGA resolution. The lightweight and sleek device weighs only 13 ounces, is 12 millimeters thin and easily fits in a jacket pocket or purse. . The Galaxy Tab includes 16GB of internal storage and has microSD expansion for up to 32 GB of additional storage. The Tab also supports Adobe® Flash® Player 10.1 to deliver an enhanced content experience with access to thousands of Web sites packed with complex Flash-based applications and content. The Galaxy Tab’s Flash content support includes games, animations, rich Internet applications (RIAs), data presentations and visualizations, ecommerce, video, music and more. The Galaxy Tab is also designed with a rear-facing 3 megapixel camera for taking pictures on-the-go, as well as a front-facing 1.3 megapixel camera and camcorder for video chat. Powered by Android 2.2, the Galaxy Tab offers services like Google Maps™ with Navigation (Beta) and Google Goggles™, as well as access to more than 100,000 applications currently available for download on Android Market™. Just like the Samsung Galaxy S smartphone portfolio, the Galaxy Tab keep users connected with Samsung’s Social Hub application. Social Hub works with the user’s Messaging and Contacts to initiate the sending and receiving of information, whether it is e-mail, instant messaging, social network updates or SMS messages. Information from portal calendars, such as Google Calendar ™and social networking services are merged into a single interface for easy organization. – Daily Briefing: Offers instant access to weather, news, stocks, and schedules. – Impressive Expandable Memory: Galaxy Tab can add 32 GB of external memory to store and manage your favorite video content and pictures. 1 Number one mobile phone provider in the U.S claim for Samsung Mobile based upon reported shipment data, according to Strategy Analytics Q3 2010 U.S. Market Share Handset Shipments Report. Android, Google Maps, Google Goggles, and Android Market are trademarks of Google, Inc.
Samsung Electronics Co., Ltd. is a global leader in semiconductor, telecommunication, digital media and digital convergence technologies with 2009 consolidated sales of US$116.8 billion. Employing approximately 174,000 people in 193 offices across 66 countries, the company consists of eight independently operated business units: Visual Display, Mobile Communications, Telecommunication Systems, Digital Appliances, IT Solutions, Digital Imaging, Semiconductor and LCD. Recognized as one of the fastest growing global brands, Samsung Electronics is a leading producer of digital TVs, memory chips, mobile phones and TFT-LCDs. For more information, please visitwww.samsung.com.